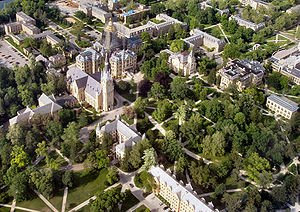 The University of Notre Dame, founded in 1842 by Rev. 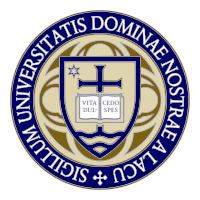 Edward F. Sorin, C.S.C., of the Congregation of Holy Cross, is an independent, national Catholic university located in Notre Dame, Ind., adjacent to the city of South Bend and approximately 90 miles east of Chicago. Admission to the University is highly competitive, with five applicants for each freshman class position. Seventy–one percent of incoming freshmen were in the top five percent of their high school graduating classes. The University's minority student population has nearly tripled in the past 20 years, and women, first admitted to undergraduate studies at Notre Dame in 1972, now account for 47 percent of undergraduate and overall enrollment. 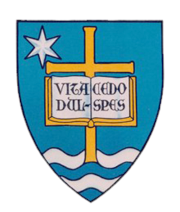 The University is organized into four colleges—Arts and Letters, Science, Engineering, and the Mendoza College of Business—the School of Architecture, the Law School, the Graduate School, six major research institutes, more than 40 centers and special programs, and the University library system. One indicator of the quality of Notre Dame’s undergraduate programs is the success of its students in postbaccalaureate studies. The medical school acceptance rate of the University’s preprofessional studies graduates is 80 percent, almost twice the national average, and Notre Dame ranks first among Catholic universities in the number of doctorates earned by its undergraduate alumni—a record compiled over some 85 years. 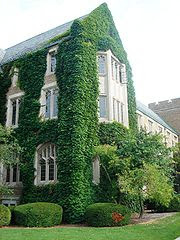 The Graduate School, established in 1918, encompasses 32 master’s and 25 doctoral degree programs in and among 26 University departments and institutes. The source of the University’s academic strength is its faculty, which since 1988 has seen the addition of some 500 members and the establishment of more than 150 new endowed professorships. Notre Dame faculty members have won 37 fellowships from the National Endowment for the Humanities in the past nine years, more than for any other university in the nation. At Notre Dame, education has always been linked to values, among them living in community and volunteering in community service. Residence hall life, shared by four of five undergraduates, is both the hallmark of the Notre Dame experience and the wellspring of the University’s rich tradition. A younger tradition, the University’s Center for Social Concerns, serves as a catalyst for student volunteerism. About 80 percent of Notre Dame students engage in some form of voluntary community service during their years at the University, and at least 10 percent devote a year or more after graduation to service in the United States and around the world. With 1,250 acres containing two lakes and 138 buildings with a total property replacement value of $2.8 billion, Notre Dame is well known for the quality of its physical plant and the beauty of its campus. The Basilica of the Sacred Heart, the 14–story Hesburgh Library with its 132–feet–high mural depicting Christ the Teacher, and the University’s beautifully renovated 128–year–old Main Building with its famed Golden Dome are among the most widely known university landmarks in the world. The university first offered graduate degrees, in the form of a Master of Arts (MA), in the 1854–1855 academic year. The program expanded to include Master of Laws (LL.M.) and Master of Civil Engineering in its early stages of growth, before a formal graduate school education was developed with a thesis not required to receive the degrees. This changed in 1924 with formal requirements developed for graduate degrees, including offering Doctorate (Ph.D.) degrees. Today each of the five colleges offer graduate education. Most of the departments from the College of Arts and Letters offer Ph.D. programs, while a professional Master of Divinity (M.Div.) program also exists. 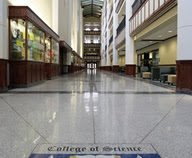 All of the departments in the College of Science offer Ph.D. programs, except for the Department of Pre-Professional Studies. The School of Architecture offers a Master of Architecture, while each of the departments of the College of Engineering offer Ph.D. programs. The College of Business offers multiple professional programs including MBA and Master of Science in Accountancy programs. It also operates facilities in Chicago and Cincinnati for its executive MBA program.